The information you need... when you need it. 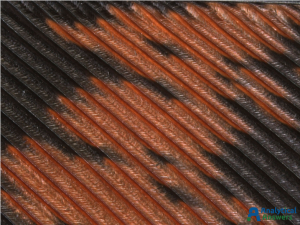 Here, we’re featuring the structures of turkey feathers. 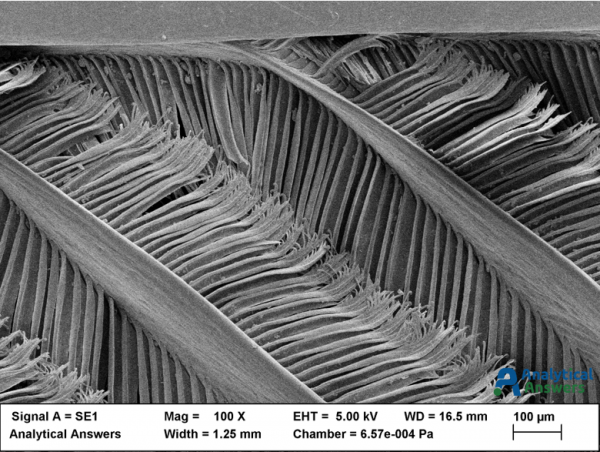 More specifically, some optical and electron microscope images of the intricate structure of a portion of a tail feather donated by a wild turkey (Meleagris gallopavo) from a large flock living on the Danvers-Wenham, MA town line. 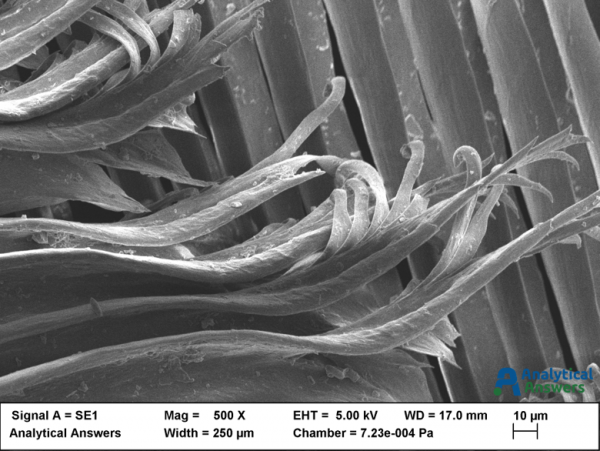 The large central shaft (rachis) is visible near the top of the lowest magnification optical (above) and electron microscopic (below) images, with the array of barbs branching off it. 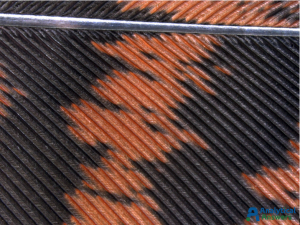 The barbs form the two vanes of the feather, one on each side of the rachis. Branching off the barbs are the barbules. 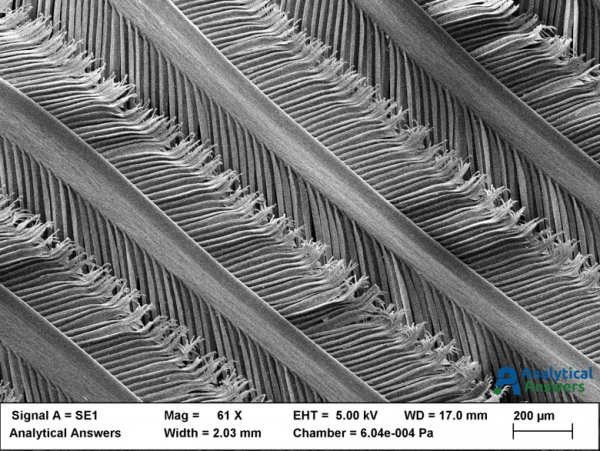 The tiny hooks that hold the barbules together are called barbicels, and are clearly visible in the SEM images below. At low magnification (original magnifications are shown), optical images were taken using a stereo zoom microscope. At higher magnification however, the 3-dimensional nature of the feather structures make it difficult to capture a fully “in-focus” image. One way to solve that problem is to acquire a composite (in this case, approximately 100) images at different focal planes (Extended Focus Mode). The resulting image is in focus throughout the entire depth of the features present in the sample. 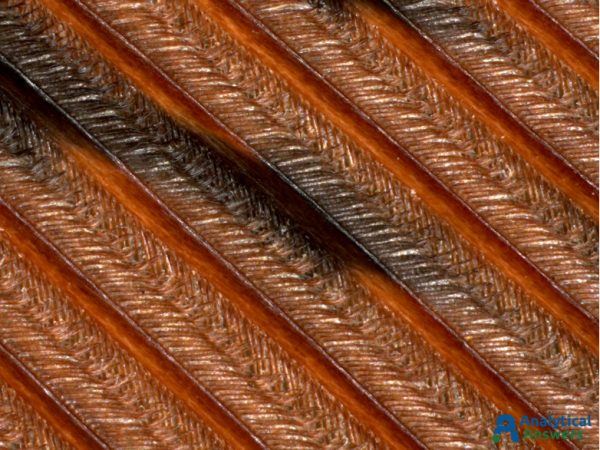 The same portion of the feather was then mounted for viewing in the Scanning Electron Microscope (SEM), and a thin (approximately 2 nm) of gold-palladium metal was sputtered onto the sample to provide a conductive sample surface to minimize charge buildup from the incident electron beam. 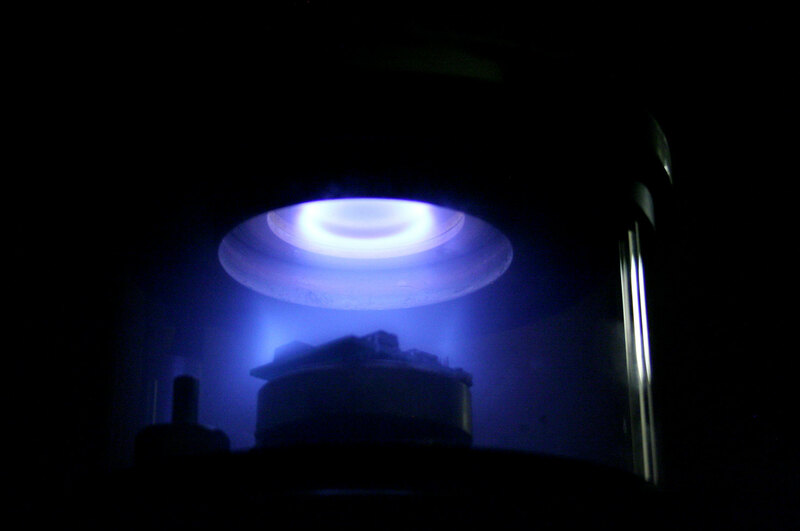 Because the wavelength of electrons is considerably shorter than that of visible light, the electron microscope provides significantly greater depth of field and depth of focus than the optical microscope. Do you need immediate help with an analysis project? Our scientists work directly with you to translate data into answers.